Has the project proposal been signed? Where is the copy for the project’s content? When was a receipt received by the sales representative? If you don’t know the answers to these questions, you leave your company vulnerable to poor customer relationships and possible law suits. Dynamic Digital Advertising (DDA) offers Customer Relationship Management (CRM) software solutions through related document applications for companies who realize the importance of maintaining a running, accessible electronic record of services rendered and contracts received. Dynamic Digital Advertising offers custom software solutions for companies who want a fast, easy, and recordable method of storing, retrieving, and sending documents related to a project. Call DDA today to learn more about the benefits of our programming capabilities for Customer Relationship Management software. Upload receipts, proposals, signed contracts, completion notices, and more in the document section of your CRM system. Dynamic Digital Advertising programs this section to accept and store uploads as well as organize and archive each one within the sale’s representatives account. Employees simply move a document into a specified folder and it is available for retrieval, downloading, printing, and emailing by that employee or whoever has the proper clearance. DDA designs email systems capable of assembling documents as attachments. Employees can quickly compose emails that verify for clients, manufacturers, or managers in your company that a particular step in the sales cycle has been accomplished. CRM by DDA puts verification documents at your fingertips and maintains a complete list of what has been sent and what has not been sent. Are you a manager or network administrator who is wondering whether your company received a client’s approval, receipt, or sign-off? Oftentimes, managers need this information to make critical decisions about projects. Dynamic Digital Advertising programs administrative logins that allow you to view and/or edit employee project and process information. Call Dynamic Digital Advertising today for Customer Relationship Management software that features related document applications. Manage paperwork and maintain an electronic record with CRM programming from DDA. Based in the greater Philadelphia area, Dynamic Digital Advertising takes pride in programming cutting-edge CRM software for companies based in regional areas such as Pennsylvania, New Jersey, New York, Maryland, Washington D.C., and Delaware as well as across the nation. With extensive experience in digital technologies such as custom website design and development, digital photography, graphic design, and much more, Dynamic Digital Advertising is the top firm for creating the CRM software systems that are professional, sleek, and fully functional. Call DDA today for the high-end programming that enhances your company’s ability to maintain more profitable customer relationships. Dynamic Digital Advertising, a major custom website design company, provides companies based anywhere in the United States with the best possible method for harnessing search engines marketing power: a proprietary website development process that uses the skills of professional website designers to execute fourteen individual steps. Leading search engines such as Google, Yahoo, and MSN use algorithms that evaluate the potential of a website to meet a searchers information needs. DDA designs websites to meet the search engines requirements and earn the top spots where websites are highly visible to targeted searchers. 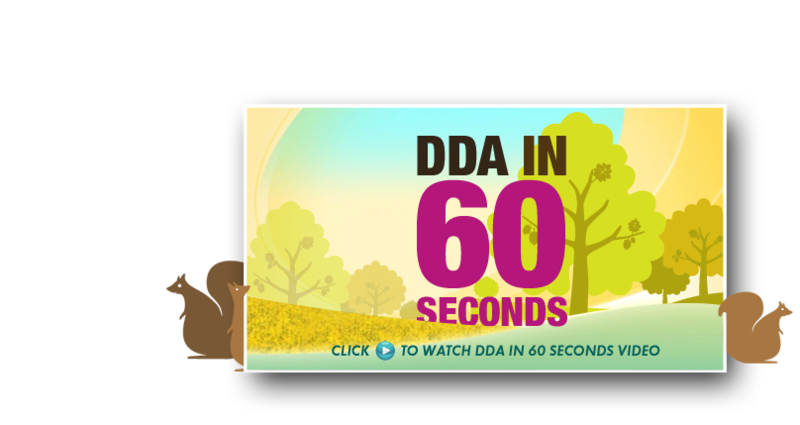 Dynamic Digital Advertising can do more than offer state-of-the-art custom database programming: DDA also provides one of the largest and most diverse graphic design service lines in the United States. Included in DDAs graphic design services are trade show graphic design, large format graphic design, 3D animation, digital illustration, and much more. Whether they are based in DDAs home state of Pennsylvania or on the other side of the country, companies around the nation are turning to Dynamic Digital Advertising to improve their ad campaigns.